Novartis has filed its CAR-T cell therapy with the FDA, giving it an edge over Kite Pharma and its rival treatment. 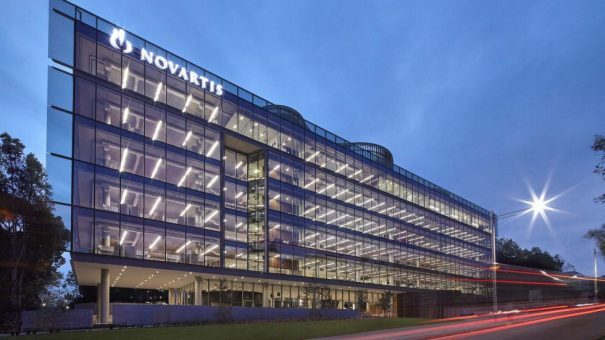 The FDA has confirmed that it will give Novartis’ CTL019 a priority review, which could see the breakthrough drug approved within six months – and get ahead of its rival, Kite’s KTE-019. CTL019 (also known as tisagenlecleucel-T) has been filed for relapsed and refractory paediatric and young adult patients with B-cell acute lymphoblastic leukaemia (ALL). It has done this via a rolling submission with the US regulator, and aims to complete the filing within the next few days. Until it completes this submission, the FDA won’t confirm what kind of review it will receive, although it is likely to receive the same priority review. But as Novartis has delivered its complete dossier ahead of Kite, it could pip its biotech rival at the post and be the first to gain a CAR-T approval. Chimeric antigen receptor T-cell (CAR-T) therapies could revolutionise treatment of haematological cancers – CTL019 produced complete remission in 82% (41 out of 50) of patients infused with CAR-T cells at three months after infusion in a phase 2 trial. Both therapies involve harvesting the patient’s own T-cells, which are then genetically modified so that they can react to specific antigens on the surface of cancer cells, overcoming the cancer’s ability to hide from the body’s immune system. Evaluate Pharma predicts peak sales for Novartis’ drug approaching $4.7 billion, while Kite’s rival axicabtagene ciloleucel (formerly KTE-019) could generate sales of $7.9 billion. Neither company has extensive long-term data, but some patients on Novartis’s drug have stable remissions of up to 2-3 years. Kite’s drug has also recently produced some very impressive results, with more than a third of patients with aggressive NHL in complete remission six months after a single infusion of the drug. Nevertheless, many patients still relapse after CAR-T treatment. That mean the drugs are likely to be used as a bridge to a bone marrow or stem cell transplant. In this case, the drugs won’t be able to command the premium price as an out-and-out cure. While there were initial forecasts of the drugs commanding in excess of $500,000 per patient, analysts are now predicting prices closer to $250,000. Side effects of the drugs can be serious. 48% of patients in the Novartis trial experienced grade 3 or 4 cytokine release syndrome – a set of fearsome symptoms associated with over-stimulation of the body’s immune system that can be life-threatening. In Novartis’ trial there were no deaths but 15% of patients experienced grade 3 neurological and psychiatric events including confusion, delirium, encephalopathy, agitation and seizure. As the drugs are neck-and-neck, the race is in fact too close to call – added to which is the fact that their initial filings target distinct patient groups. Whether there is any first-to-market advantage is also not clear, as the novelty of the treatment means how doctors and payers will respond to the new paradigm remains to be seen.